Strangeness is afoot. 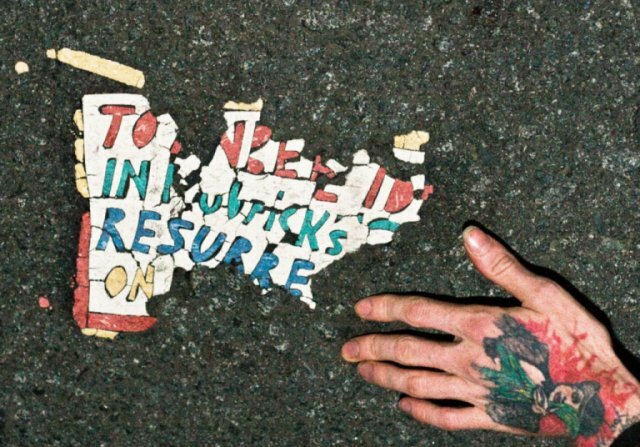 Most people don't notice the hundreds of cryptic tiled messages about resurrecting the dead that have been appearing in city streets over the past three decades. But Justin Duerr does. The bizarre, yet utterly hypnotic love child of David Lynch and Errol Morris [...] easily one of the most unique and satisfying documentaries of the year. Foy has painted a softer, heartfelt portrait of one eccentric in search of another. The forceful aspect of the filmmaking is the deft juggling of tense, of testimony and surmise and recreation. A dizzying black hole of conspiracy theory and misdirection.